InfoGuard specialises in comprehensive Cyber Security. You can benefit from our experience, professionalism and reliability in the auditing, consultation, architecture and integration of leading network and security solutions. 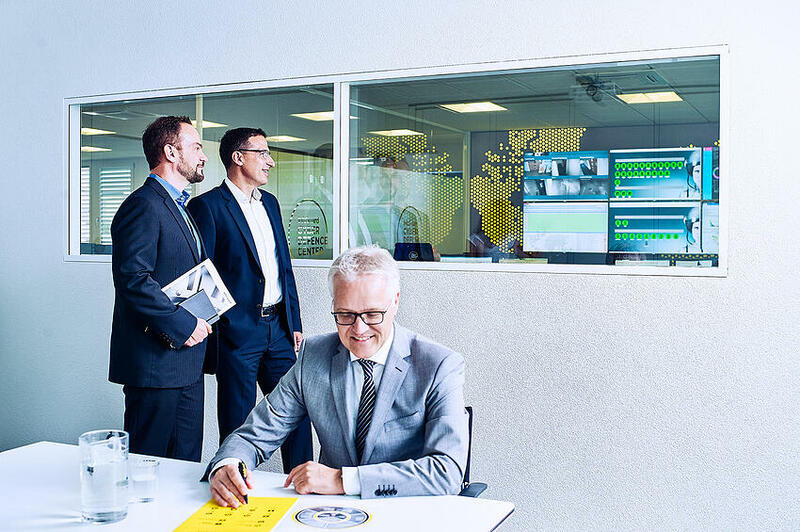 We deliver state-of-the-art cloud, managed and SOC services from our ISO 27001-certified InfoGuard Cyber Defence Center located in Switzerland. Our services focus on the protection of your information, employees, processes and technology. This includes the definition of a cybersecurity strategy, to development and operation of an Information Security Management System, risk and compliance management, security awareness and review of your security processes, the IT infrastructure and the employees via cyber security audit, penetration testing and social engineering. InfoGuard offers comprehensive ICT solutions to protect and guarantee the availability of your information. Our experienced team of highly qualified and certified professionals can assist you with the architecture, design and engineering as well as with the integration of network and security solutions from selected and leading manufacturers. InfoGuard’s Cyber Defence Center in Switzerland is certified for ISO/IEC 27001 ready to provide the entire spectrum of services: The range goes from support services, to our cloud and managed security services and to our SOC-service, in which our Cyber Threat Analysts and Security Experts take care of your cyber security needs around the clock. You will get a detailed 360° view of your specific threat situation with appropriate findings. We would be pleased to offer you a specific Cyber Threat Intelligence Report for only CHF 5'000.‒.